Detail, McCall 3324 (ca. 1923). McCall 3324 (ca. 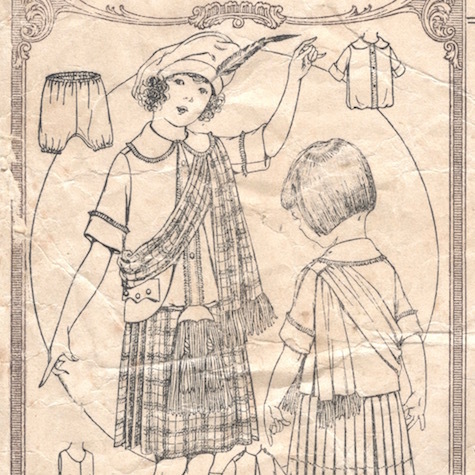 1923) Girl’s Scotch Costume. 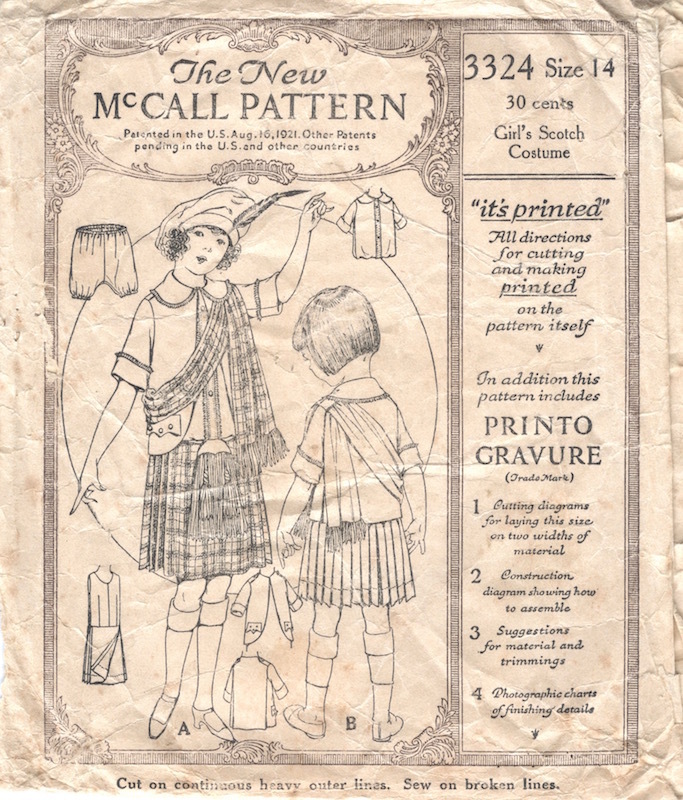 McCall Printed Pattern Style News, December 1925. Image: eBay. 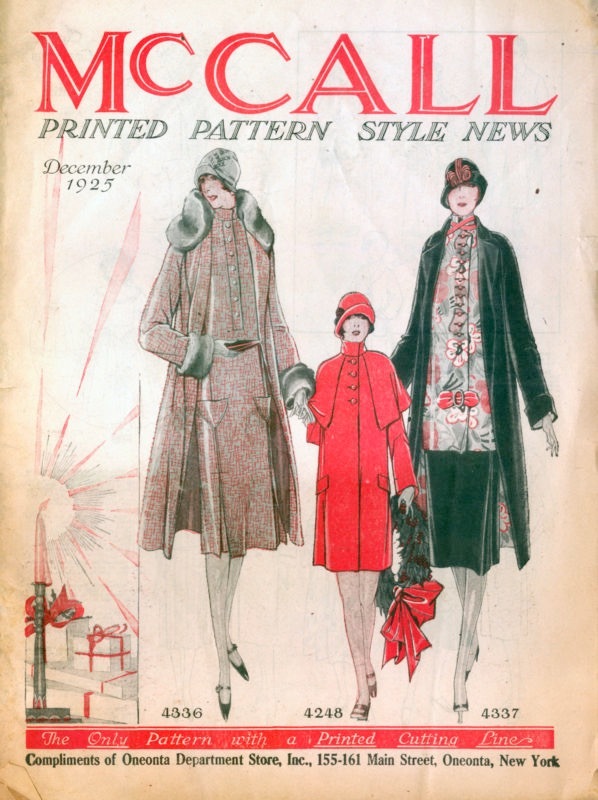 I wanted to share this mid-1920s, Christmas-themed cover of McCall Style News. From December, 1925, the illustration shows two women—well-dressed in coat ensembles—accompanying a young girl carrying a wreath. I love how makes it look like she has two mothers. The patterns are McCall 4336, 4248, and 4337. This copy came from Bresee’s Oneonta Department Store in Oneonta, New York. Lanvin anniversary logo. Image: WWD. Lanvin celebrated its 125th anniversary this year. Founded in 1889 by Jeanne Lanvin, the house marked the occasion with an extensive look into its archives on Instagram, Pinterest, Facebook, and the new Lanvin Heritage website. (See WWD’s article here.) In 2015, Paris’ Palais Galliera will host a major exhibition devoted to Jeanne Lanvin. Lanvin hand embroidery, ca. 1925. Image: Instagram. 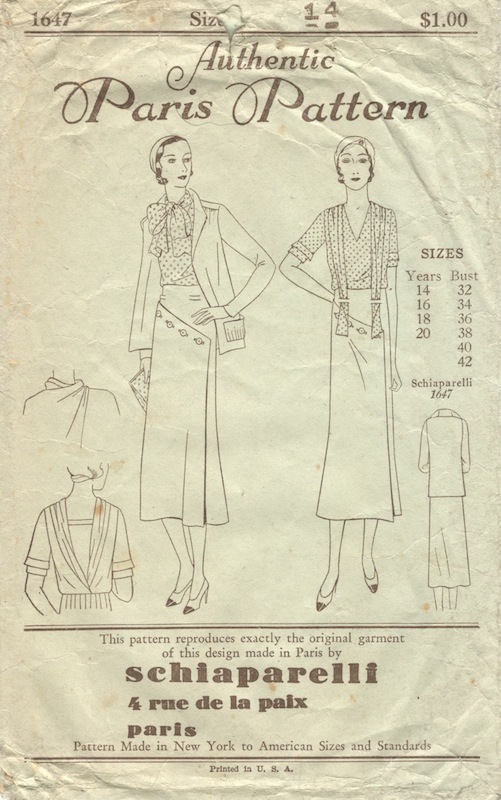 Commercial sewing patterns based on Lanvin originals were produced between the 1920s and the 1970s. Four head designers presided over the house during that period; I’ll be devoting a post to each designer. 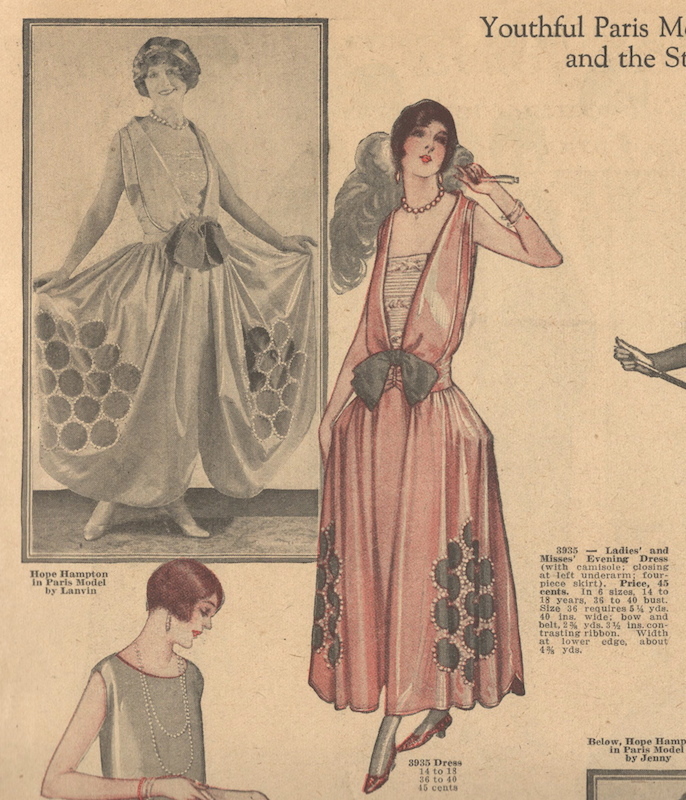 The interwar Lanvin designs available as sewing patterns are by Jeanne Lanvin (1867-1946), who was known for her romantic, youthful dresses with couture embellishment, particularly her robe de style, a full-skirted alternative to the 1920s tubular silhouette. Lanvin label, 1926. Image: Metropolitan Museum of Art. 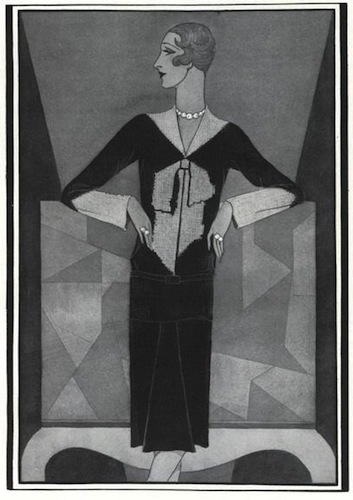 Hope Hampton in Lanvin, McCall Style News, January 1925. Lanvin robe de style, Fall/Winter 1924-25. Image: Metropolitan Museum of Art. Illustrations in McCall Quarterly, Summer 1927. Images courtesy of Debby Zamorski. 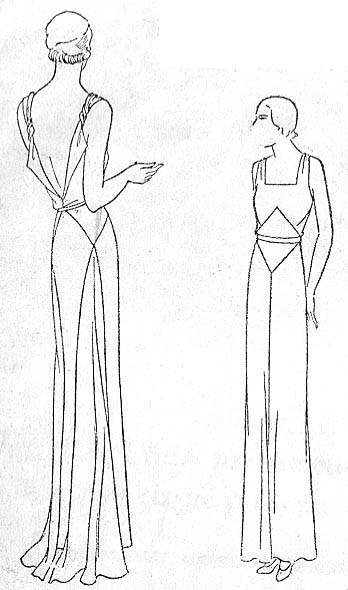 Pictorial Review 3978 adapted from Lanvin (1927). Image: eBay. Illustration from Pictorial Fashion Book, Winter 1927-28. Image: eBay. McCall 7711 by Lanvin (1934) Image: VPLL on Pinterest. Illustration by Blanche Rothschild in McCall Advanced Paris Styles, March 1934. Image: eBay. McCall 7959 by Lanvin (1934) Image: Petite Main on Pinterest. Illustration by Blanche Rothschild, McCall’s magazine, September 1934. Image: Vintage123. 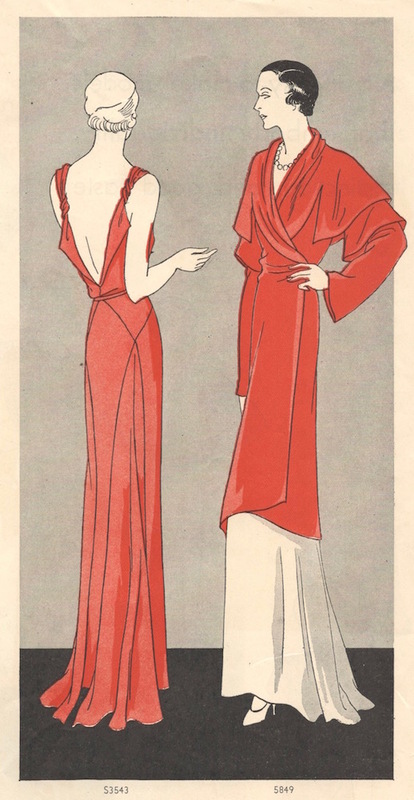 Pictorial Review 7363 adapted from Lanvin (1934). Image: VPLL on Pinterest. Illustration from the Pictorial Fashion Book, Winter 1934-35. 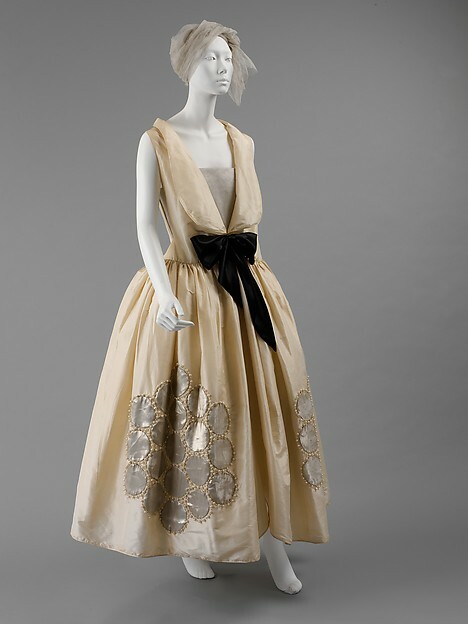 McCall 8591 by Lanvin (1936) Image courtesy of Debby Zamorski. 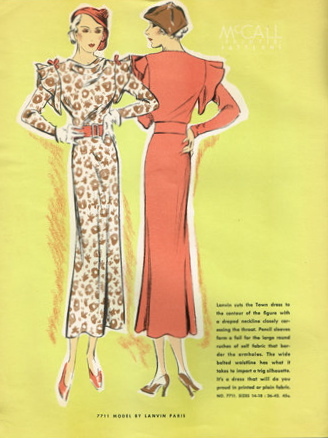 Illustration in McCall’s magazine, January 1936. Illustrator: Marian Blynn. Image: eBay. Lamé blouse by Lanvin in Vogue, 1933. Photo: Horst P. Horst. Image: Condé Nast via Getty Images. Jeanne Lanvin with model, ca. 1930s. Photo: Albert Harlingue. Image: Roger-Viollet via Catwalk Yourself. Next in the series: Marie-Blanche de Polignac’s early Vogue Paris Originals. Guinevere Van Seenus in vintage 1930s Schiaparelli, Vogue, May 2012. Photo: Steven Meisel. Image: vogue.com. Have you heard? The house of Schiaparelli, founded by the legendary Elsa Schiaparelli (1890-1973) and dormant since 1954, has been revived. Schiaparelli label, 1938. Image: Metropolitan Museum of Art. 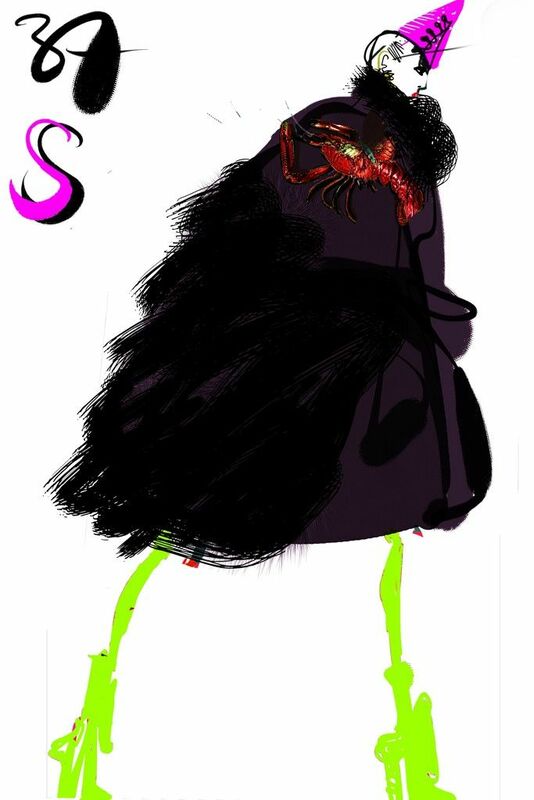 Christian Lacroix sketch for his Schiaparelli collection. 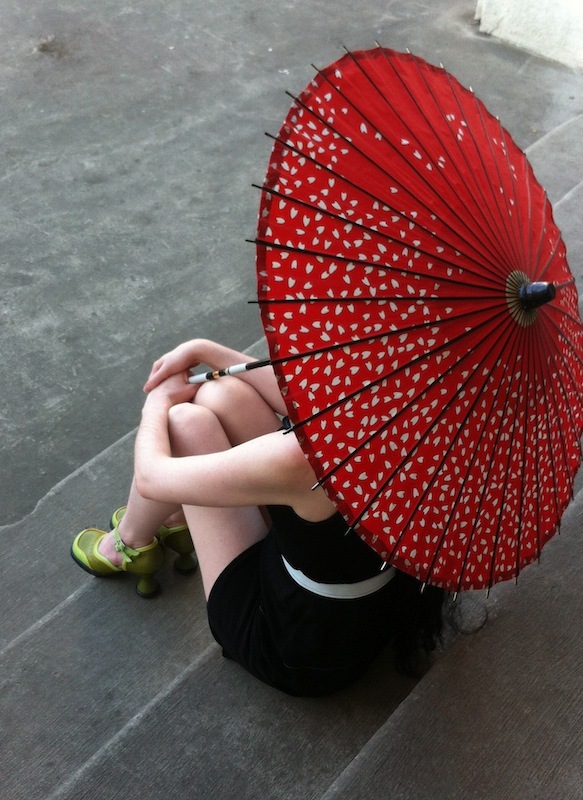 Image: WWD. The opening look in Marco Zanini’s debut collection for Schiaparelli. Model: Stella Tennant. Image: vogue.com. The high-profile revival follows the Costume Institute’s major 2012 exhibition, Schiaparelli and Prada: Impossible Conversations (see my earlier post here). And, timed to coincide with couture week, an auction of Schiaparelli’s personal collection takes place Thursday at Christie’s Paris. Collection personnelle d’Elsa Schiaparelli. Image: Christie’s. Bowknot sweater by Elsa Schiaparelli, Vogue, December 15, 1927. Illustration: Douglas Pollard. 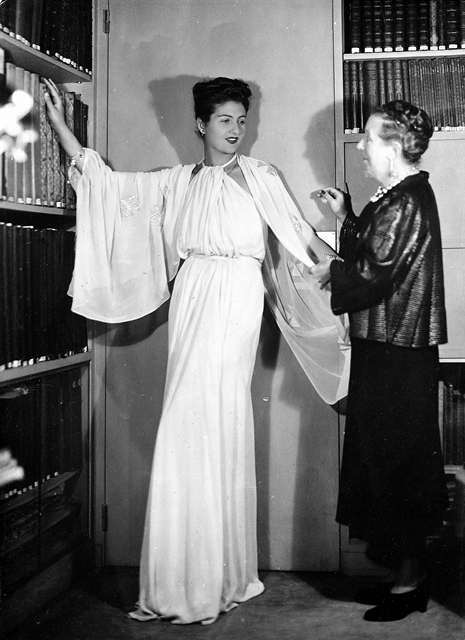 Like Vionnet, Schiaparelli also saw commercial sewing patterns for her designs in the interwar period, released by companies including the McCall Pattern Company, Pictorial Review, and the Paris Pattern Company. 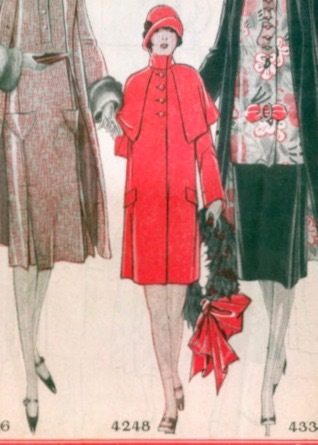 Here is a selection of early Schiaparelli patterns. 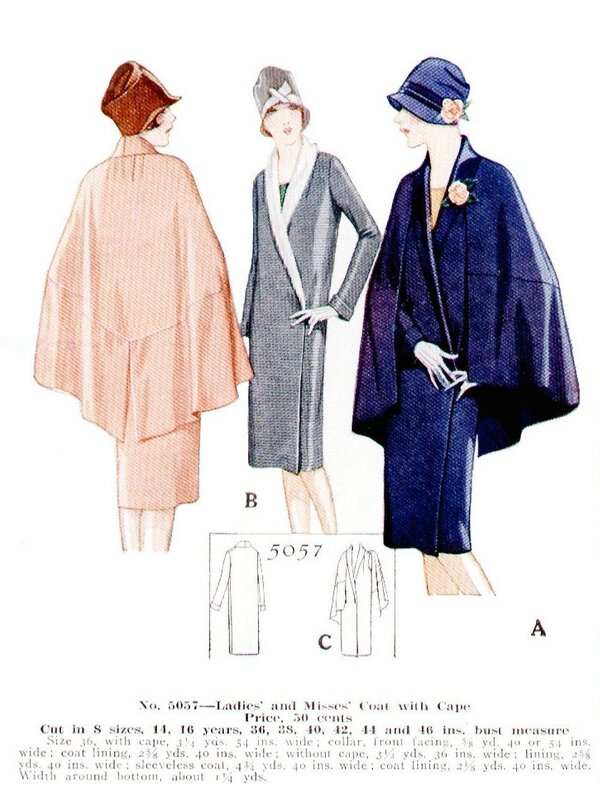 McCall 5839 by Schiaparelli in the McCall catalogue, 1930. Image: echopoint. McCall 5839 by Schiaparelli. 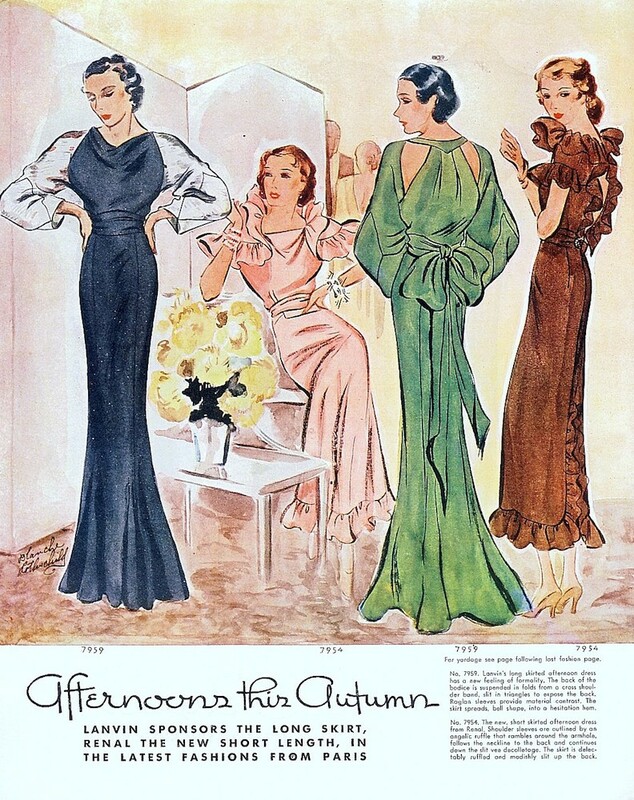 McCall’s magazine, October 1929. Illustration: Blanche Rothschild. 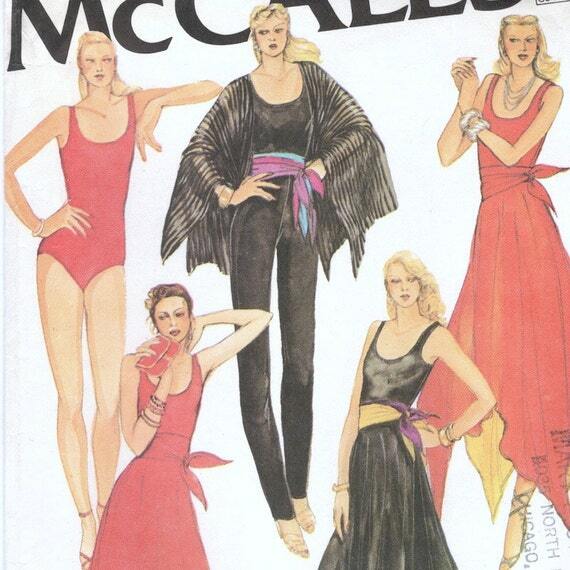 McCall Fashion Bi-Monthly, July/August 1932. Image: carbonated on flickr. Schiaparelli beige suit, blue blouse and Sicilian cap; pink jacket and brown skirt, Vogue, May 1, 1932. Illustration: Eduardo García Benito. Image: Corbis. 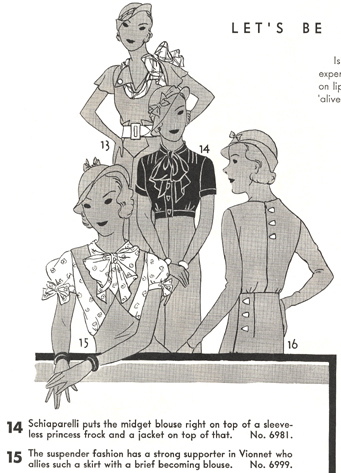 Pictorial Review 6764 adapted from Schiaparelli (c. 1933) Image: Best Vintage Patterns. 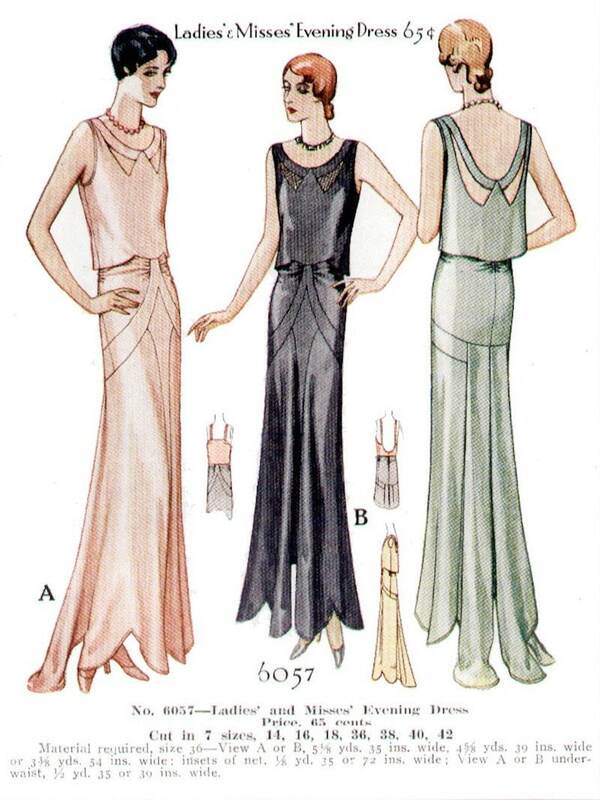 Illustration of Pictorial Review 6764 (c. 1933) Image via Best Vintage Patterns. Paris Pattern 2286 by Schiaparelli. 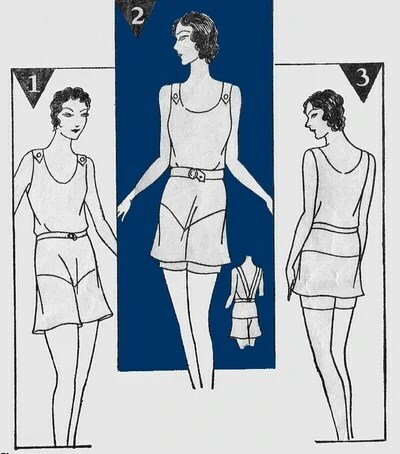 Paris and Style Patterns leaflet, June 1934. 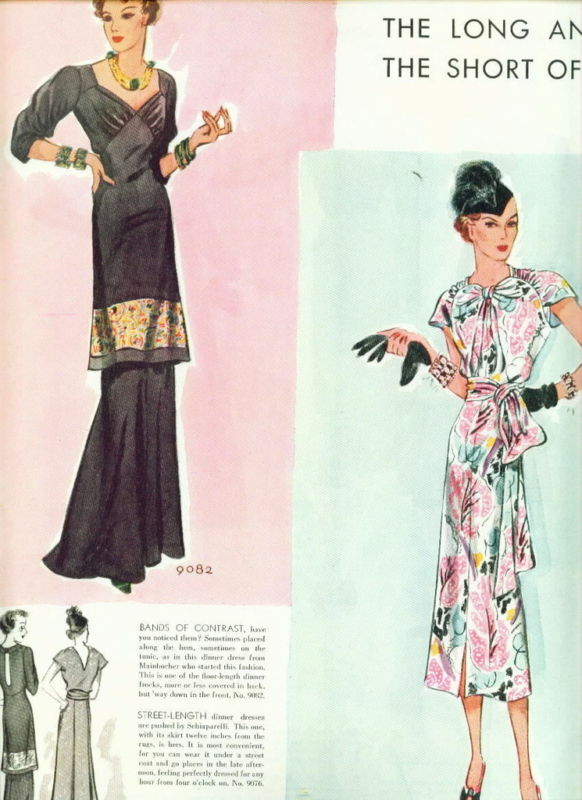 Paris Pattern 2301 by Schiaparelli (c. 1934) Image courtesy of the Vintage Pattern Lending Library. 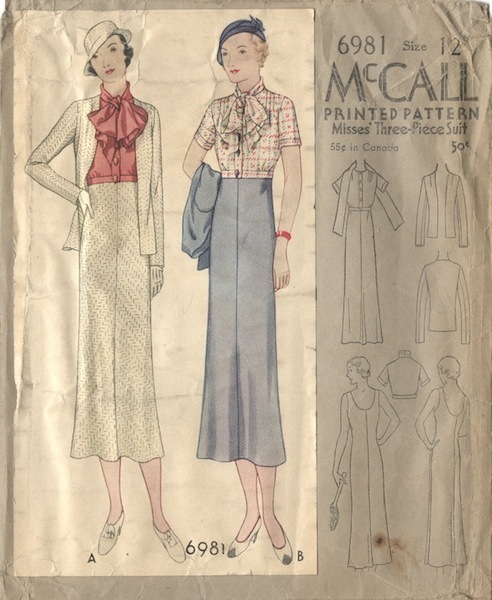 McCall 9076 by Schiaparelli (1936) Image: Vintage Patterns Wiki. 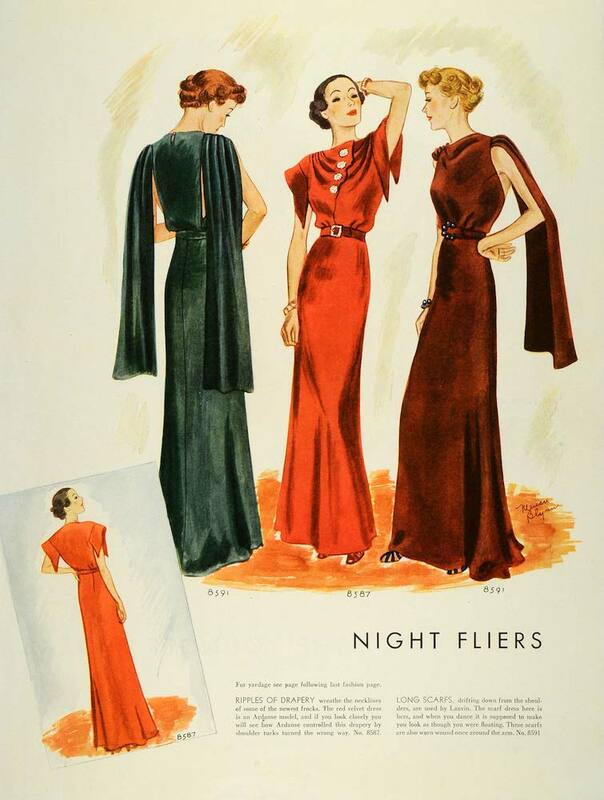 McCall’s magazine, January 1937. Image: eBay. Schiaparelli patterns from between the wars tend to lack the surrealist touches we associate with the designer, since many of these were based on couture embellishment, accessories, or notions. (Cricket buttons, anyone?) I remember reading a contemporary 1930s article that said Schiaparelli pieces were so simple, they were too easy to copy. Today one might say it’s her brand of dynamic severity that makes her clothes seem so modern. Bonus: The Art Deco Society of California has posted instructions for Schiaparelli’s “Mad Cap” (via What Would Nancy Drew Wear?). Next: Schiaparelli’s postwar Vogue Paris Originals. 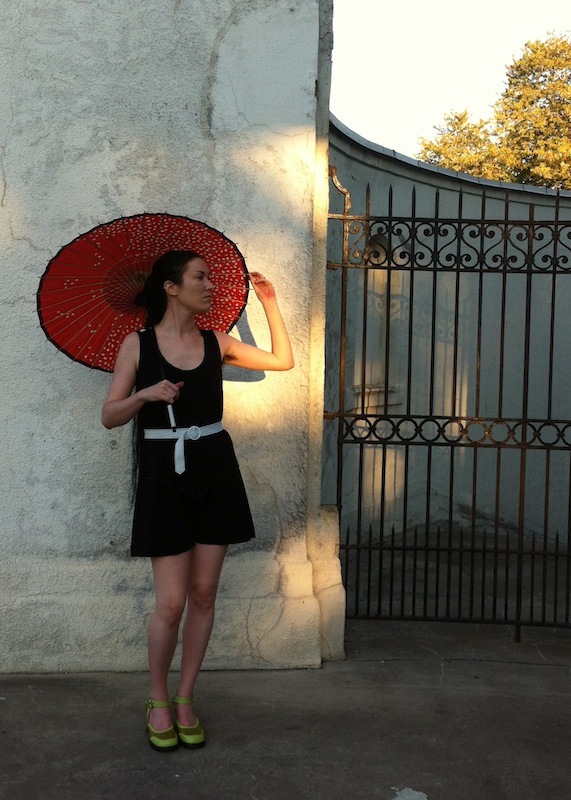 Simplicity 7041 (ca. 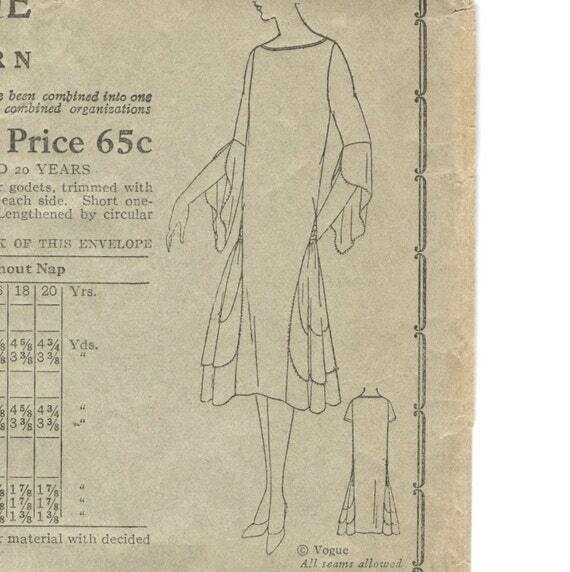 1929) Image via the Vintage Patterns Wiki. I love vintage swimwear. (See my post on vintage beachwear patterns here.) It’s also been years since I had a bathing suit; somehow I can never make myself shop for one. 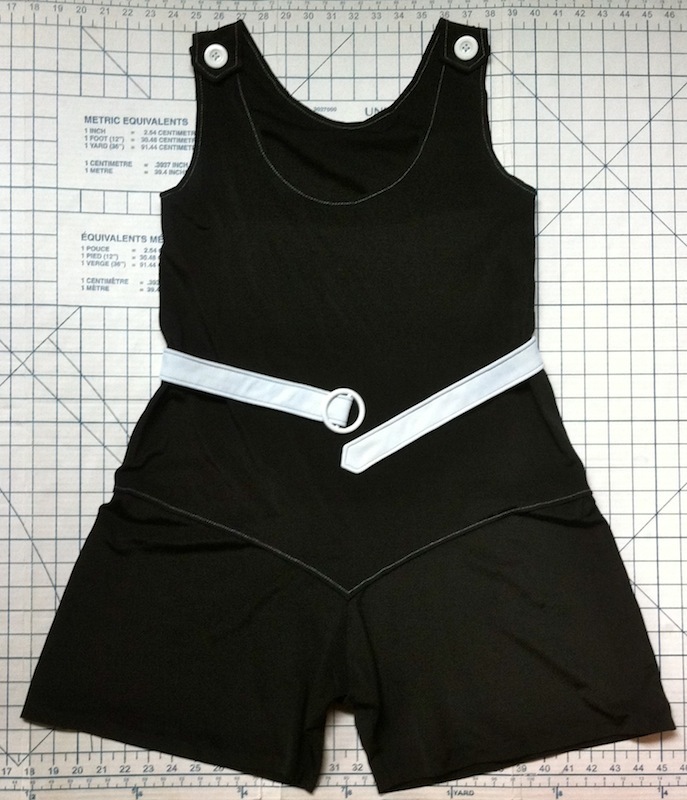 So I resolved to make a vintage swimsuit using the Vintage Fashion Library’s reproduction of Simplicity 7041, VFL 145. Wool swimsuit by Jean Patou, ca. 1928. Photo: George Hoyningen-Huene. Image via Corbis. Model in Jean Patou swimsuit, ca. 1929. Photo: George Hoyningen-Huene. Image via Corbis. The original pattern instructions give a charming description: “7041: Style for chic and for good swimming. It has a smart belted waistline, buttoned shoulder straps, and a round neckline. Style 1: A one-piece suit for the very active swimmer who demands plenty of freedom. Style 2: A two-piece suit which looks well on the taller woman. With deep V-back.” The pointed, lapped lower bodice seam is a nice Deco detail, which could be brought out further by making the attached shorts in a contrasting fabric. I made the one-piece with scoop back. I found some lightly textured, black swimwear fabric on sale at King Textiles’ old location, with matching white fabric for a contrast belt. To face the upper bodice and belt I used tricot interfacing/lining from Designer Fabrics, where I also got some plain 1″ buttons. The 1.5″ belt buckle is from Leather & Sewing Supply Depot (now at 204 Spadina). I needed to grade down the repro’s B38 to fit me. Even then I had to take in the suit at the upper side seams. The straps were made slightly shorter and narrower as part of the grading, but the length of the shorts was unaltered. I added white topstitching along the top and bottom edges of the bodice, with contrasting black topstitching on the white belt. Simplicity 7041 swimsuit (ca. 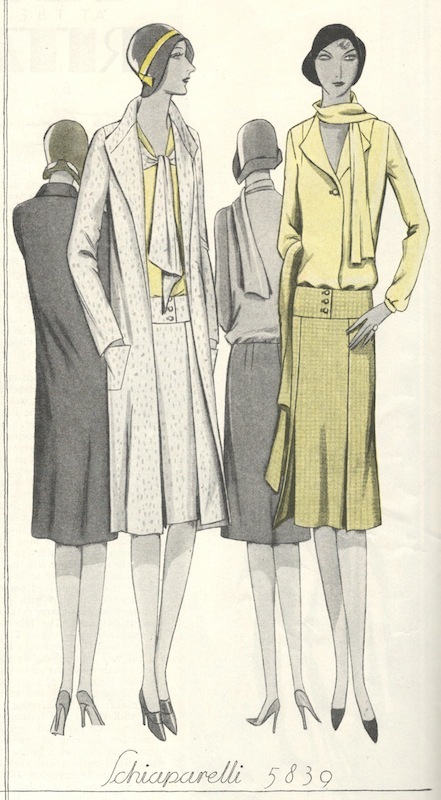 1929) – Vintage Fashion Library 145. 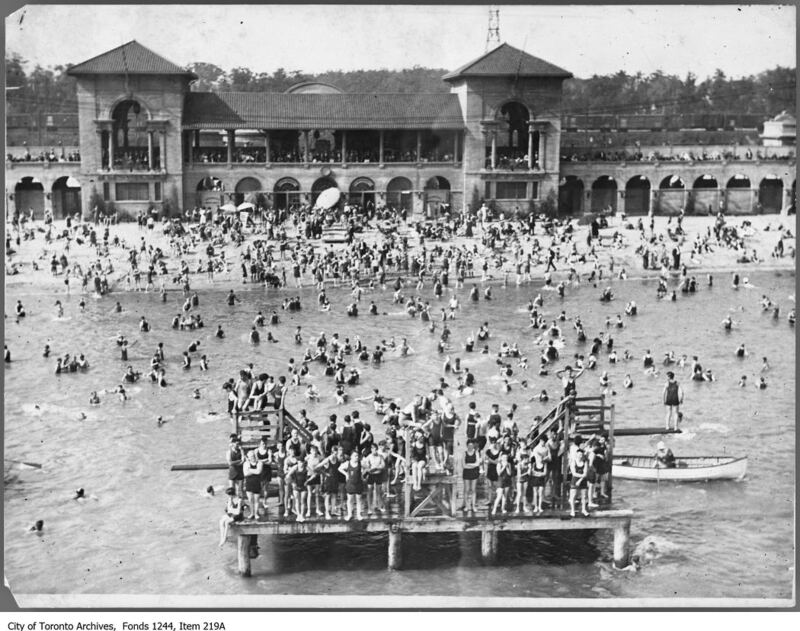 Sunnyside Bathing Pavilion, ca. 1924. Image via City of Toronto Archives. 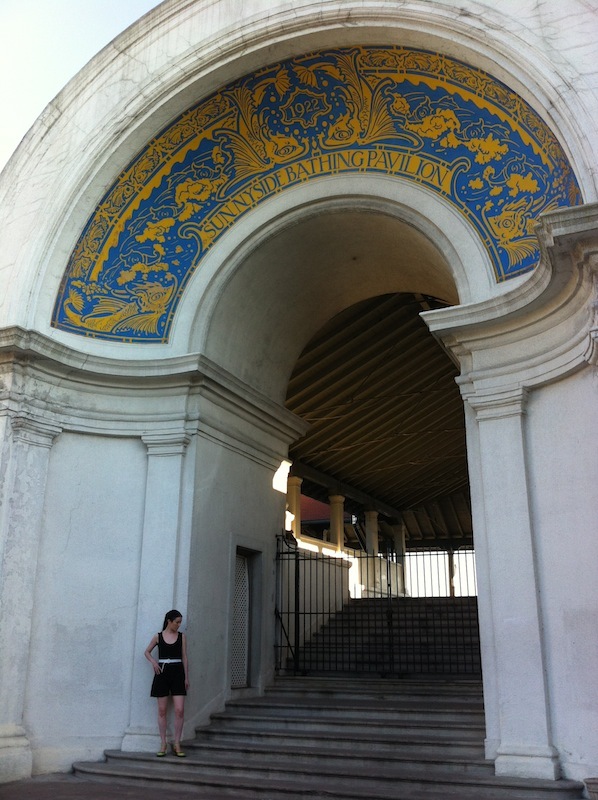 The grand archway at Sunnyside Bathing Pavilion. As Naomi pointed out, the suit is basically a playsuit, and with heels and a coverup it didn’t feel too odd walking down Queen Street West to the beach. Simplicity 7041 worn with a coverup (shoes: John Fluevog). Simplicity 7041 with “buttoned” straps.